Headquartered in Columbus, Ohio, Title First has branch offices throughout the Midwest and a robust virtual partner network throughout the country. Title First got its start in 1956 as an affiliate of a local law firm and has since emerged as one of the largest independent title agencies in the nation. Proudly servicing Realtors, lenders, builders, developers, law firms, buyers and sellers, Title First is equipped to serve your residential and commercial title and settlement needs. Sean Stoner is the owner, president and CEO of Title First Agency, Inc. He is responsible for the management of business development and operations on a national scale. Sean began his career with Title First in 2004 as the regional vice president, where he oversaw all aspects of sales, operations and business partnerships for central Ohio, southwest Ohio and Indiana. He also served as senior vice president of the company’s commercial division before being promoted to president in March 2012. Stoner purchased the agency in March 2016. In addition to residential and commercial title experience, Stoner has an extensive background in commercial real estate transactions. Prior to joining Title First, Stoner served as director of regional real estate and in-house real estate counsel for Family Dollar Stores, Inc., in Charlotte, N.C. In that role, he was responsible for site selection, lease and purchase negotiations and drafting, acquisitions, relocations, expansions, and build-out of all stores in North Carolina, South Carolina, Tennessee and Northern Florida.Stoner is a member of the North Carolina and Ohio Bar Associations and the North Carolina and Ohio Bar (corporate status). He is also a member of the American and the Ohio Land Title Associations and is licensed for title in Ohio and 32 other states. Stoner earned a Bachelor of Arts in Environmental Policy and Analysis and Political Science from Bowling Green State University, and he holds a Juris Doctor from The Ohio State University Moritz College of Law. Tony Nauta is senior vice president of Title First’s National Operations. In that role, Nauta manages sales, title production, vendor management, and escrow processing for Title First National Operations. He has more than 20 years of experience in the mortgage and banking industries, including underwriting, lending and title operations. Nauta joined the Title First team in 2005 as director of operations for the company’s national operations division. He became vice president of National Operations in 2010 and was promoted to senior vice president in 2012. 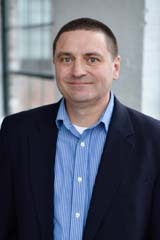 Tony holds a Bachelor of Business Administration in Finance from Grand Valley State University’s Seidman College of Business. Paul Thompson, Esq., is senior vice president of Title First’s Northern Ohio Region. Thompson manages sales, title production and escrow processing in northern Ohio as well as joint venture operations in northern and central Ohio, Indiana and Illinois. Having been in the title and insurance industries since 1992, Thompson has focused his career on insurance law and real estate. He joined Title First in 2004 as central Ohio counsel and director of national operations. In 2012, he was promoted to senior vice president of the company’s Northern Ohio Region. 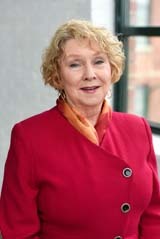 Thompson is a member of the Ohio State Bar Association and the Ohio Bar. He is also a member of the Ohio Land Title Association and is licensed for title in Ohio and 33 other states. He earned his Bachelor’s degree from Ohio University and his Juris Doctor from Northern Kentucky University’s Salmon P. Chase College of Law. Dean Talaganis, Esq., is special counsel to the president of Title First Agency. 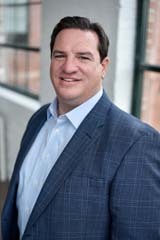 In this role, Talaganis advises Sean A. Stoner, president of Title First Agency, on matters related to national licensing and manages special projects, including the centralization of processing and work flow training programs and the creation and management of scalability and customer service models for Title First’s 15 offices in Ohio, Illinois, Indiana, Michigan and West Virginia. Part of Talaganis’ responsibilities also include marketing Title First’s services on a local and national scale and serving as a speaker on topics such as title insurance, closing issues, foreclosures and ethics. 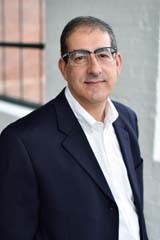 Talaganis received his Juris Doctor from Capital University Law School in 1989 and a Bachelor of Science in Business Administration with a focus on industrial marketing from Youngstown State University, in 1986. A member of the Ohio State Bar Association, Talaganis is admitted to practice before the U.S. District Court (Northern and Southern Districts of Ohio) and the United States Claims Court. He is also licensed to sell title insurance in Ohio and Michigan. He is the former president, second vice president and director at large of the Northern Ohio Credit Association, and a former member of REOMAC and has served on the REOMAC education committee. 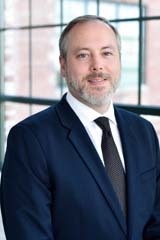 Jonathan Iseman is vice president and counsel of Title First’s Commercial Division. He joined the team in August, 2018. His primary responsibilities include managing all aspects of the division and developing new commercial business. Iseman has been in the title industry since 2006, and has extensive experience in both residential and commercial transactions. Before joining Title First, he was commercial title manager for Chicago Title Insurance Company, where also held roles as underwriting attorney and counsel. Iseman is a member of the Ohio Bar. He is a graduate of Valparaiso University with a bachelor’s degree in History and received his Juris Doctor from Ohio Northern University. Bill joined Title First in 2013 and serves as Senior Commercial Title Underwriter. 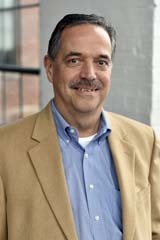 Bill has over 36 years of experience in the title insurance and real estate industry. Prior to joining Title First, he served as State/Regional Claims and Underwriting Counsel for two national underwriters. He has also served as claims and/or underwriting counsel for a law firm and title agent. He is a member of the American Land Title Association and has served as a member of its Forms Committee and its Judiciary Committee. He is a former Trustee, President and currently an Honorary Life Member of the Ohio Land Title Association. Bill is also a member of the Education Committee and the Legislative Liaison Committee of the Ohio Land Title Association. 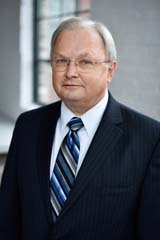 Bill is a member of the Ohio State Bar Association and served on its Real Property Specialization Committee and is currently a member of its Real Property Section and Probate and Trust Section. He received his Bachelor’s Degree from the University of Pittsburgh and his Juris Doctorate from Ohio Northern University. Angie has served as an Underwriting attorney for Title First since 2003. She also serves as the Legal Department manager and is the primary attorney for the residential department. Her responsibilities include all aspects of underwriting as to probate matters, trusts, foreclosures, entities and chain of title issues in determining insurability. Before joining Title First, Angie was in private practice in Fairview Park, Ohio. She had multiple clients with litigation matters in criminal, civil and real property cases. Early on in her career, Angie provided contract closing services for several Northern Ohio title agencies. Angie received her Bachelor’s degree from the University of Cincinnati and her Juris Doctorate from the University of Toledo. 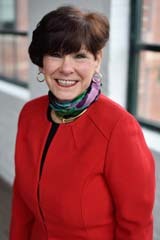 Linda has served as Underwriting and Claims Counsel for Title First since 2006. She is responsible for managing all claims and consumer disputes. Linda has over 20 years of experience in the title industry having served as State Counsel for several title insurance agencies. 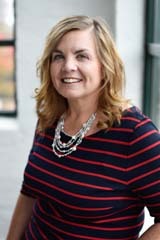 Linda is a member of the Ohio Bar Association, a licensed title agent and a Certified Residential Real Estate Specialist. Linda is a graduate of The Ohio State University with a Bachelor’s degree in Business. She also holds a Juris Doctorate from The Ohio State University College of Law. Tammy Leach started her career with Title First in 1993 as an escrow processor. She has worked extensively with both residential and commercial transactions and has overseen the title department. Tammy has held many pivotal roles throughout her tenure at the company and was promoted to one of two directors of operations in 2013. In this capacity, she oversees daily operational decisions regarding facilities, branch operations, staffing, training, and employee benefits. Tammy attended Columbus State Community College and The Ohio State University. She is a licensed title insurance agent. Michelle Miller-Maxie joined Title First Agency in 2001. 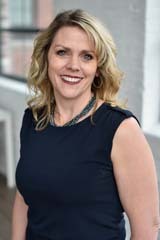 Throughout her tenure at Title First, she has been involved in all facets of retail operations from branch management to corporate operations. In 2010, Michelle was integral in the development of the HUD 2010 and became a subject matter expert responsible for training and compliance with the new rules and regulations. In 2013, she was promoted to her current position as Director of Operations. Michelle specializes in the implementation of IT programs from setup through training for both accounting and production platforms. She is responsible for the development of business analytics and reporting tools. Michelle also spearheads underwriter and compliance audits and has been a factor in Title First Agency achieving SSAE18 accreditation. Miller-Maxie is a graduate of The Ohio State University with a Bachelor of Arts in Sociology and is a licensed title insurance agent. Mark manages all aspects of builder programs including, but not limited to, lot acquisitions, construction loans/draws and purchases. 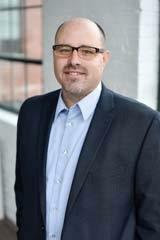 He also serves as Area Manager for the northern quadrant of central Ohio, overseeing four retail locations. Mark joined Title First in 1990. He was a key player in Title First’s commercial division, serving as manager for five years before being promoted to Vice President of the Builder Division. Mark has extensive experience in the title/real estate industry. Prior to joining Title First, Mark held his real estate license and worked for a mortgage lender. Mark is a licensed title agent and a member of the Building Industry Association (BIA). He received his Bachelor of Science degree in Business Management from Ashland University. Laural is a licensed title agent and a notary public. 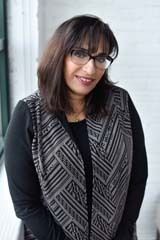 She is a graduate of Louisiana State University with a Bachelor’s degree in Sociology and received her Master’s degree in Social Work from The Ohio State University.